When it comes to mite infestation, scabies secures its place in top of the list. These tiny mites burrow into your skin and cause itchy rashes. If you or someone close to you is suspected with scabies, there is a dire need for medical treatment. Besides, it is also important to treat your surroundings. Why? Sharing of clothes, bed, or towels which were earlier used by someone with a scabies infection. Prolonged skin-to-skin contact, like holding hands. For this doctors recommend treatment for an entire group of people who were in frequent contact with an already infected person. And it is equally important to clean the environment. How to make your surrounding scabies-free? Getting rid of the scabies mites can be a challenging task. But it is essential to avoid re-infestation. For spread through direct contact, you can trust on a homeopathic remedy like Dr. Scabies. It is one of the most recommended solutions for treating scabies without any side-effects. As this product comes with sulfur, it is safe to use and works effectively. Besides, here are some ways to make your other stuff such as clothes, sheets, and towels free from scabies. The most important thing you need to know about scabies mitesthat high heat kills them and their eggs. So you need to make sure that the laundry is completely dry. If you want to kill all the mites and eggs, you need to set the timer to at least 30 minutes and heat to high. Later, turn on the dryer and run it for complete time. It was found in a study that when dry heated over 122 degrees F for over 10 minutes, it kills away all the mites and their eggs. As the last 10 minutes of the drying cycle isa cool down period, it is advised to run the dryer for at least 30 minutes. Hence, it will work for 20 minutes on high heat and then 10 minutes to cool down. After that you can remove laundry. Of course, it is not possible for you to wash and dry out all the stuff daily. For this, don’t put your laundry for the wash directly. Reason being, you will have to completely dry the laundry and run it on high heat for another 30 minutes. To save time and efforts you can put dry (dirty) laundry in the dryer first. So you can throw the bed pads, blankets, towels, quilts and pillows in the dryer first. Plus, mites can simply die if they are off a human for longer than a couple days. 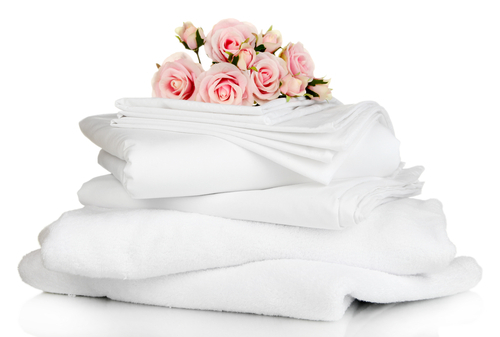 Generally, mites or eggs on the clothing or sheets will die in 2 days. This entry was posted in Understand Scabies, what causes scabies, what is scabies. Bookmark the permalink.